How manky do reduced products need to be before you avoid buying them? Decomposing bags of salad, only 16p! Half a dozen roses, give or take a couple of browning blooms, just £5.50! A dented tin of bean for 13 pennies! Is there a limit to you perishable goods bargain hunting? 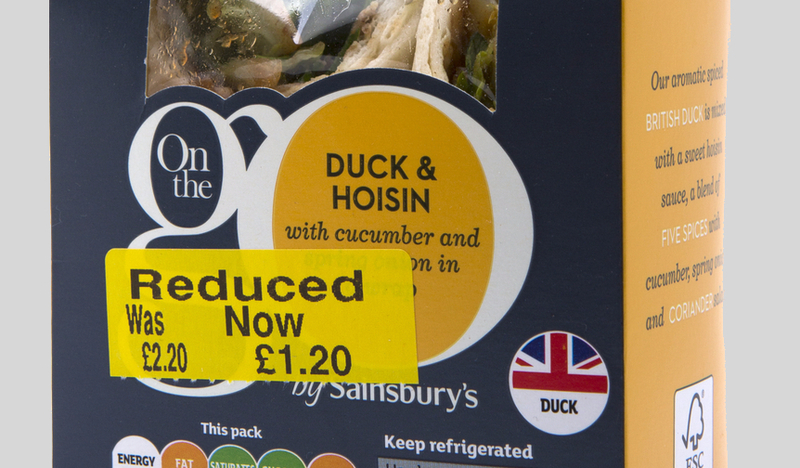 As an on-off ‘short date’ shopper I love a bargain and always make a point of heading to the reduced section or looking out for those magical yellow stickers whenever I’m shopping, particularly in supermarkets. I find if I time it right (around 7-8pm for a supermarket bargain), there are some real steals to be had. Some of the packets may be a bit battered or the contents close to the sell-by date, but generally they’re at least usable. So when I visited a DIY store last weekend, I was naturally drawn to the sale racks in the gardening section, figuring I could pick up a few cheap bedding plants. Only, when I got there, most of the plants had been that deprived of water that they looked half-dead. I deduced that they were unsalvageable and put them back on the shelf, thinking I should probably tell a sales assistant. Imagine my surprise then, when a customer behind me started popping all the items I’d put back into her trolley! Surely she wasn’t going to actually buy them? Similarly, a Tesco customer found a significantly reduced chocolate bunny left over from Easter still for sale on the shelves of her local branch. Only this wasn’t just a fraction of its original cost, but had melted that much that it was a fraction of its original size too. Sure, it was now only 63p, down from £2.50, but, as the customer posted on Facebook, who would actually buy it? Now some might say, as a Tesco spokesperson reportedly did, that it’s better to try to sell it than waste it entirely. Do you think overly damaged products sold be either be given away or consigned to the bin out the back rather than sold? How bad do reduced goods have to be before you’d avoid buying them? Or have you bought something that appeared unsalvageable that turned out to be the bargain of the century? Find out how supermarket prices compare on non-reduced produce with Which?’s monthly supermarket price comparison. I still recall the time that I bought a “fresh croissant” from a Tesco express, picked it from the shelf, put it through self checkout at 70 odd pence, walked back out of the shop, right past the croissants which were now all being thrown into a black plastic bin bag. Never have I seen the value of a product fall so fast. Yesterday evening I went into Tesco for milk and picked up a joint of pork reduced from £5 to £1.25. It went straight in the oven when I got home. Two weeks ago I was in town and popped in to Marks & Spencer. I bought a sandwich for 50p and a pack of four ‘Perfectly Ripe’ Kiwi fruit reduced from £2 to 20p. Several days later, two were ready to eat but the other two have taken a fortnight to reach adequate ripeness. A friend brings round surplus reduced price flowers on Fridays and most of them last the week. Must be a London thing. Oi ! – I am a “Dumster Diver ” and resent “deprivation ” of my lifestyle ( just kidding ! ) Went into Marks +Sparks and purchased a £4.20 pizza for £2.20 /Morrisons- Orange Lucozade for £1 but what I noticed is that the usual very cheap bargain shelf that supported “poor students ” and the poor generally were no longer a bargain, just reduced a bit , but the shop is in an affluent area and they dont need to try too hard . Real bargains are usually in much poorer areas . My best bargain ever was a 3 foot fibre-optic Christmas tree bought in June 2008 for £3 from a Woolworth’s that was closing down. Nine years on, it’s still going strong! Are people going mad or just being stupid….? Chocolate melts in the mouth, and as long as it tastes the same, stop moaning and walk past the display or appreciate it for the offer it is and grab the bargain while you can? If you are being penny pinching and trying to pass something off as perfect for a present or similar, stop being such a cheapskate. I dont understand all the slating of supermarkets in the UK, if you dont like them then dont use them! yes, but it is still probably overpriced for just chocolate – and all that packaging. And what about ‘discontinued lines’? Probably still in ‘best before’ and that’s good for me. Bought a litre of OVD Rum in Tesco last year, which is a spirit I think is super. Can still get it elsewhere. Avocadoes! Horribly really squidgy ones that will probably have that awful taste they have when they have gone brown inside. I’m convinced that shops are selling these when all they can do is put someone off wanting to buy them ever again! If you suddenly decide you want to make a fruit salad the same day the reduced price fruit may be the only fresh(ish) but RIPE fruit you can find!